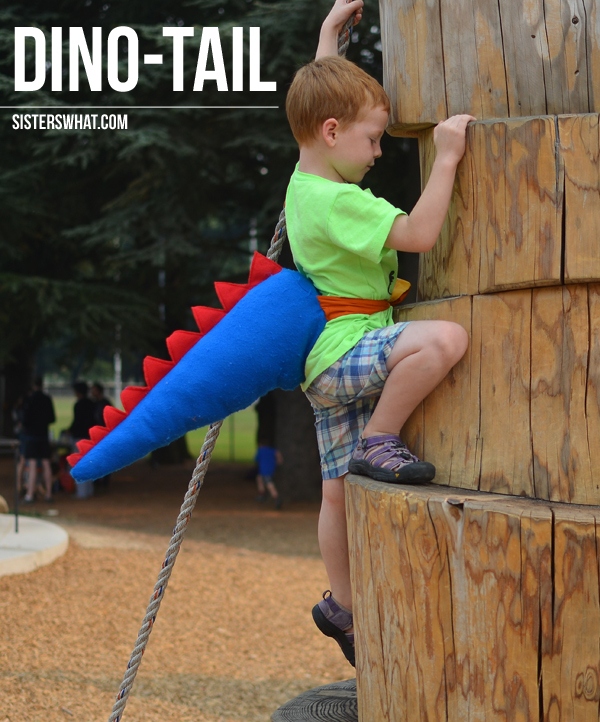 ' How to make a Dinosaur tail for Halloween - Sisters, What! About two years ago my oldest son got the dinosaur bug. I thought it would eventually die down, but no, it has only gotten stronger! If he sees something he likes he always asks "does it come in dinosaur?" or if we're making something "can we make it like a dinosaur?" I think he thinks that dinosaurs were created for him. 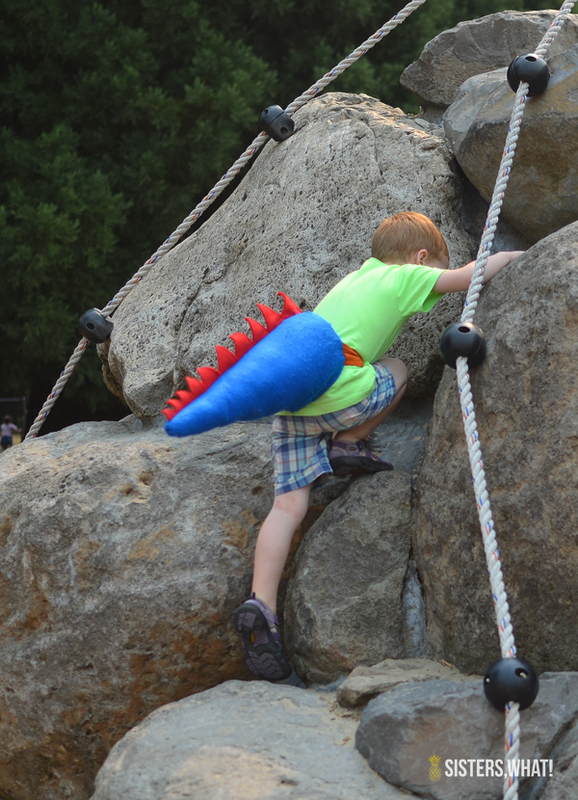 I saw a while back on the blog Running With Scissors, the dino-tail that Jessica made. I finally decided it was time to make one for both my boys. And you better believe it, my 4 year old was right next to me the whole time and made every decision for fabric and colors. 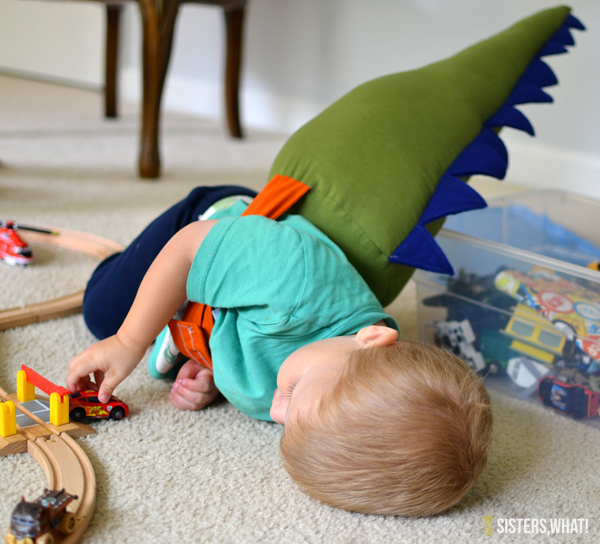 I must admit, I have been tempted to just buy him a dinosaur costume (it would be SO much easier). Both boys love their tails and wear them every wear. And yes, they will be dinosaurs for Halloween. Now I just need to make them feet and dino claws (requested by Captain Awesome). To make your own dino-tails just go HERE. I used felt for one of the tails which worked fine, but not so great to take outside since felt can ball up with too much rough contact. So I recommend other cotton fabric.